WW1 Resources: with data comes knowledge. There are many websites dedicated to details of the First World War, many with interesting facts and stories contained in them. The Isleworth 390 Project aims to sit beside these established websites to offer an additional resource on how WW1 impacted on the people of Isleworth and to take a look into the lives of the soldiers recorded on the Isleworth Memorial. Other websites can be found below with an explanation of how they can be used in conjunction with the Isleworth 390 Project website to offer you, the public, as much information as possible on the soldiers of Isleworth. The Imperial War Museum’s ‘Lives of the First World War’ is building a permanent digital memorial to all who contributed during the First World War. 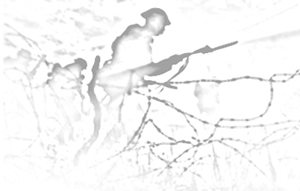 Voices of War and Peace: the Great War and its Legacy offers research support and guidance for community groups around the First World War. The BBC has had wide coverage on the WW1 centenary this year with a comprehensive website full of information and useful facts and programmes focusing on WW1. The Commonwealth War Graves Commission’s new site: ‘Discover 14-18’. The graves of those who fell, and the memorials to those with no known grave, provide a unique insight into the history of the war. This site will develop over the centenary to help you discover more about the conflict, and where those who died are commemorated today. The British Legion has launched a new website: “Every Man Remembered” from WW1, which also includes women. With guidance from a video from Dan Snow, it asks people to commemorate or search for people to remember from its databases. It enables searches by name, date, area, local regiment. This is free to access and add to.